November 30, 2012  Israel announced the plans a day after the U.N. voted to upgrade Palestine to a non-member observer state. The United States called the plans "counterproductive." 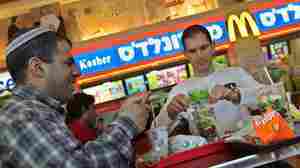 November 30, 2012  The country's ultra-Orthodox Jews control kosher certification, but some restaurants are raising objections and forming their own rival certification association. The dispute is part of a wider debate over how Israel should manage the relationship between church and state. U.N.'s Palestine Vote: Symbolic Or Game-Changer? 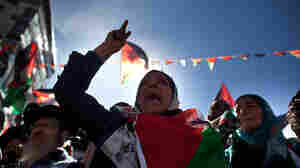 November 30, 2012  Palestinians are reveling Friday, following the U.N. General Assembly's elevation of their status from nonmember "entity" to nonmember "state." But what that change means depends on whom you ask. 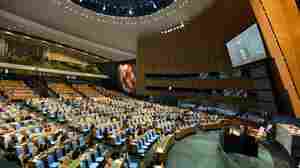 November 29, 2012  The move gives the area the same status as the Vatican, but more importantly, it gives it access to other U.N. bodies like the International Criminal Court. This is a victory for the Palestinian Authority and a diplomatic setback for Israel and the United States. 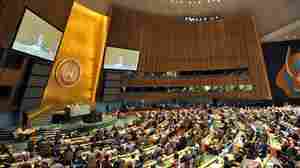 November 29, 2012  The U.N. General Assembly approved a request from the Palestinians to upgrade their status to non-member state in the world body. Israel and the U.S. were firmly against the move. Is Iran Ready For A New Round Of Nuclear Talks? November 29, 2012  Diplomats and analysts are discussing prospects for another round of nuclear talks between six world powers and Iran. Tehran seems interested, even sending signals about possible bilateral talks with the U.S. 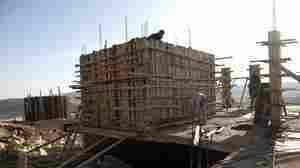 But analysts say the window for progress is small before Iran's election season kicks in next spring. Meanwhile a new push on sanctions is expected, possibly including the sale of Iranian gas — a sensitive subject for neighboring Turkey, which recently acknowledged that it has been essentially bartering Turkish gold for Iranian gas. 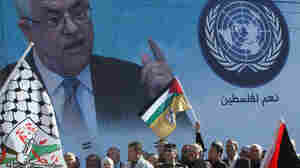 November 29, 2012  Palestinian leader Mahmoud Abbas appears at the U.N. General Assembly on Thursday to request an upgrade in the Palestinians' status at the world body. What Will It Take To Make The Gaza Cease-Fire Hold? November 28, 2012  A week has elapsed since a ceasefire ended an explosion of violence between Israel and Hamas in the Gaza Strip. The truce has so far held, despite some disputed incidents which have left one Palestinian dead and a group of Gaza fishermen in Israeli custody. Egypt, as mediator, is now holding separate talks with both sides to hammer out detailed agreements on key issues, including easing Israel's blockade of Gaza, and preventing weapons being smuggled into the region. November 28, 2012  Britain said its decision would remain flexible up until the vote. It said it would vote in favor of the measure, if, among other things, Palestinians returned to negotiating table with Israel without any conditions. November 27, 2012  The Palestinian Authority (PA) dug up the body of its late President Yasser Arafat on Tuesday as part of an international investigation into whether he was poisoned. 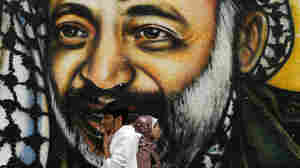 The investigation was launched this summer, eight years after Arafat's death, when a Swiss lab found traces of the radioactive element polonium on Arafat's personal effects. The exhumation comes at a sensitive time, as the PA is suffering from a legitimacy crisis and is being upstaged by its rival Hamas. The exhumation also distracts attention from the the group's bid to upgrade its status at the U.N.
After Israel-Hamas Cease-Fire, What's Changed? November 26, 2012  Egypt brokered a cease-fire agreement between Israel and Palestinian militants, after eight days of fighting in the Gaza Strip and southern Israel. The Israeli blockade continues, both parties remain implacably opposed and talks on the fundamental issues appear no closer.